Jim McMahon’s response to the Greater Manchester spatial framework plans makes me think of his facial framework or to be more accurate his ability to deliver two contrasting political faces. What he considered appropriate policy for areas as a senior member of local Government and contributor to the GMCA spatial framework plan is contrasted by his stance a year later. As a central government MP under pressure from disillusioned potential core voters his double standards sound like the ramblings of a split personality both unaware of what the other Jim had to say. One of our favourite quotes from his GMSF response comes when he addresses the need to develop town centres, he states “The answer is to create town centres of the future, not hold on to a past that will never to be seen again.” Anyone who showed the slightest interest in local politics knows that he spent his entire tenure at Oldham Council harping on about four subjects, Jim, Jim’s family, Oldham’s Victorian heritage and the cotton industry. 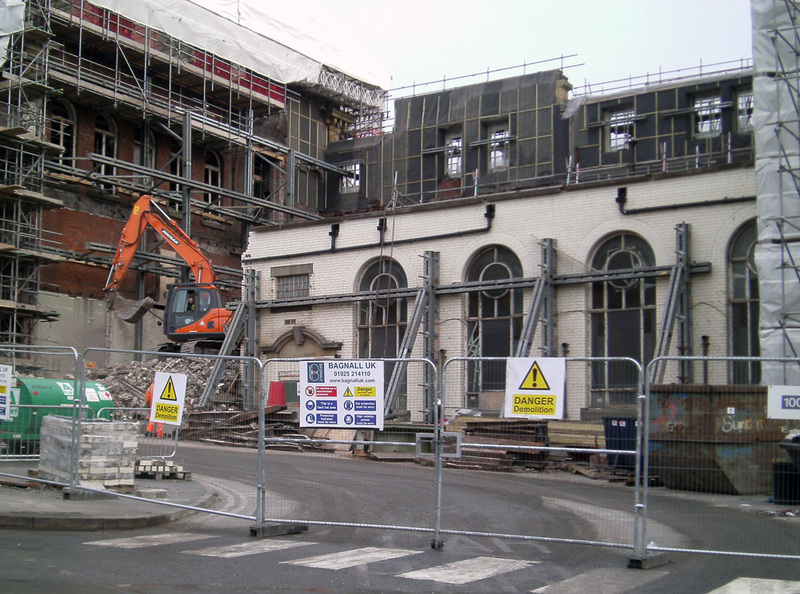 The reason Oldham’s new cinema cost the public purse £39.1 million and not £12 million is because he had it built attached to a completely derelict grade II listed old town hall rather than moving forward with a contemporary energy efficient new modern building. His twenty year plan for Oldham town centre was dominated by costly heritage regeneration including building a new heritage centre. 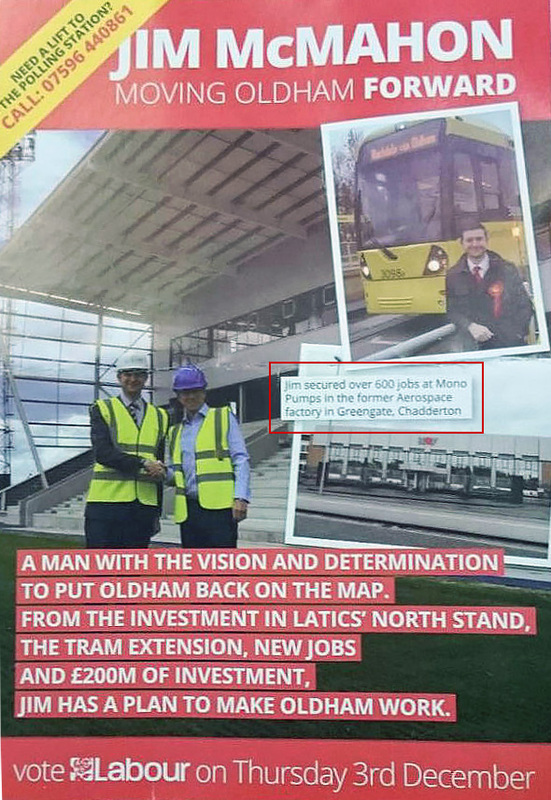 His expensive regeneration and future proof masterplan provided retrospective minimum wage employment prospects in retail, hospitality, warehouse and logistics for the Oldham Labour faithful more concerned with tax credits than council spending. As Oldham Council leader Jim McMahon was at the forefront of pushing for the fields, farms and undeveloped land at Foxdenton to be cleared and turned into a million square feet of warehouse space with a regularly changing estimated housing development allocation. So enamoured was he with the vision that he joined forces with a developer and formed Foxdenton LLP where he promptly occupied a director’s position. 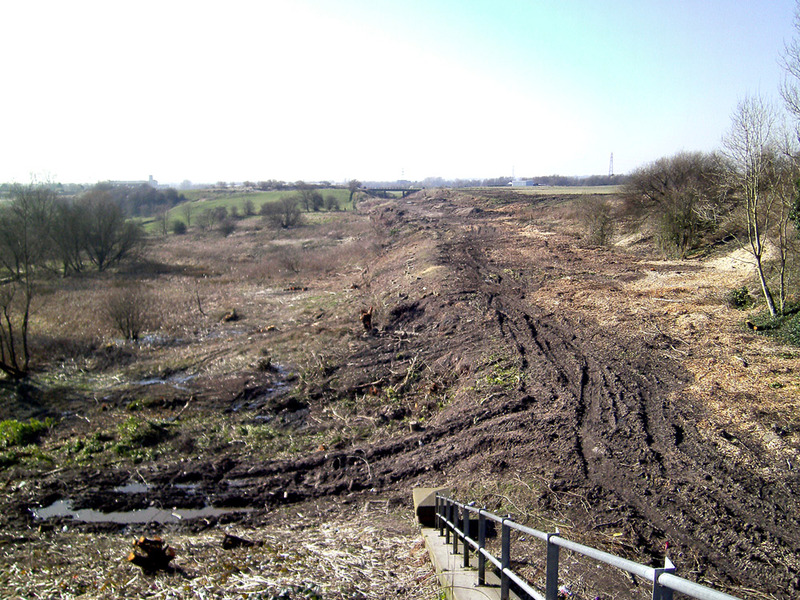 Now as MP he still thinks Foxdenton, central Chadderton’s last sizable undeveloped green-space, should face the bulldozers to offset decades of failed financial and social policy mistakes inflicted by the Labour party. Indeed, he even takes the time to write a small Foxdenton byline offering it up for sacrifice in his response to the spacial framework plan. “Hollinwood and Foxdenton (including the existing Broadgate site) should be included in the list of strategic sites to bring forward and anchor users and infrastructure investment.” Jim thinks the spacial framework plan would damage the character of many neighbourhoods and that the green land serves to prevent neighbouring towns from merging into one another. 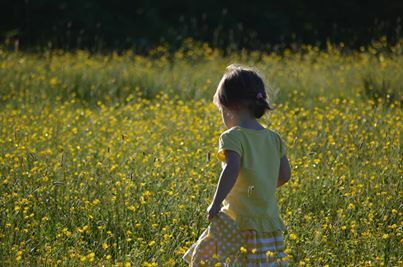 Similarly the fields of Foxdenton create a barrier between Chadderton and Middleton and developing the land will remove the barrier between towns and change the character of the neighbourhood. These were no issues for Jim who did not face the scale of backlash seen over the GMSF and additionally local residents around Foxdenton were told during consultation they are not entitled to a view. When you consider his record in local government you have to delve into the archives of public domain publication and freedom of information because what he called transparent democracy would often be better classed as financial invisibility. This was supported by a sanitised local press with direct connections to the council and its press department which constantly avoided publication of crime figures, immigration statistics, scheme shortfalls and all manner of questionable policy and spending. Winner of Oldham in bloom photo competition, Foxdenton, soon to be a housing estate. Here are just a few of Jim McMahon’s policy and spending failures in Oldham. Mono Pumps, relocated to the former BAE Systems site on Greengate which is adjacent to Broadate which in turn is adjacent to Foxdenton. Mono Pumps actually relocated to Oldham with 440 jobs from Audenshaw after taking control of the Oldham site in December 2012. Jim McMahon regularly stated vocally and in print that he secured 600 jobs bringing Mono to Oldham and the company even talked about plans to create up to a 1,000 jobs in total. In the first half of 2016 it transpired that Mono in Chadderton employed just 379 staff and 31 were facing redundancy. 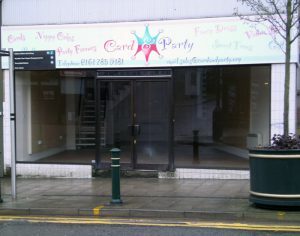 Mono Pumps has had to repay the grant it received for moving to Oldham because it failed to deliver the agreed outcome. Then we have “Our House” Jim’s socialist dream of the country’s first weekly payment store run as a social business to displace Brighthouse. Wishful thinking and a policy not to pursue people for payments saw the store enter administration after just four months. 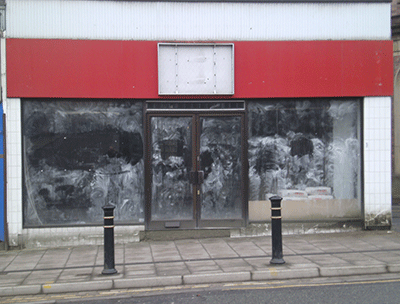 Strangely enough the article on the store opening seemed to disappear from the Oldham Council website quicker than the high street store did. Hotel Future, originally in 2012 Hotel Future was a Manchester Hoteliers Association plan to develop a functioning hotel/training academy staffed by hospitality students. Jim McMahon then approached them and offered up Oldham Council’s car park as a location to site the academy. After provisional agreements were made Oldham council spent what must be several millions on multiple feasibility studies, funding models and revised plans over the next four years. It is now 2017 and Hotel Future, which was scheduled to open in the summer of 2015, is nowhere to be seen. According to the last documents we read the Manchester Hoteliers Association development has become one that was described by Oldham Council as only being able to go forward if the council develops itself. Hotel Future’s twitter account has been silent for three years and the official website has reverted to a blank holding page. 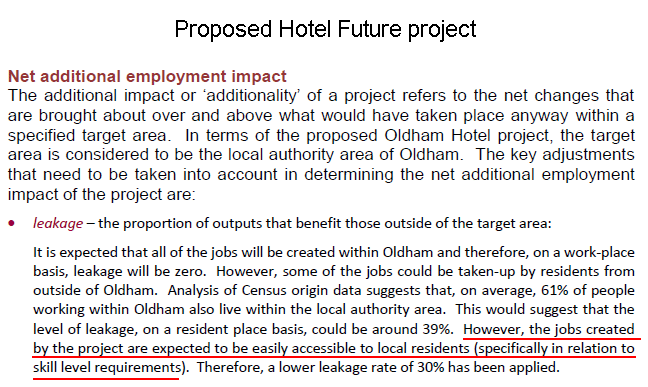 Oldham council have rejected our freedom of information request for current total spending on the Hotel Future project. Hotel Future more menial employment. Old Town Hall Cinema, We recently trawled back through Oldham Council’s published accounts and disregarding any payment made under £500 Oldham Council paid out £378,171 in 2013, £8,287,966 in 2014, £14,087,732 in 2015 & £16,345,571 in 2016 to Oldham Old Town Hall contractors, a total of £39,099,440. According to the last two council leader’s Oldham Council’s contribution was going to be £26 million but this omitted the cost of loans the Council took out to fund the project and yet another overspend for a development that started at £10 million and ended on a supposed final cost projection of £36.72 million. It is misleading and deceptive of both Jean Stretton and Jim McMahon to disregard loans and insinuate they have no cost because they will be paid back with rental income. That rental income should be adding to Oldham Council’s yearly accounts and reserves, using it to pay back specific loans and interest payments on a specific project does not render those loans or rental income null they become credits and debits, income and expenses. In private business the lead would be sacked if they instigated multiple programs that failed to deliver on promised outcomes and failed to meet budgets and timescales as often as Jim McMahon’s spending and regeneration schemes have for Oldham. When the £2.5 million grant from GMCA & £1 million Manchester airport dividend are subtracted from the current spend Oldham Council’s direct spend and loan liability is £35.6 million not the £26 million reported by the last two Oldham Council leaders. Despite bespoke premises being built The Odeon cinema decided to pay minimum wage rather than join Oldham Council’s living wage. Be under no doubt Oldham Council will never recover the money spent on Jim McMahon’s flagship, or was it game-changer we lose track, development. Princes Gate, November 2014. “Oldham Council is unveiling a ‘gamechanger’ masterplan for the town centre’s eastern gateway to bring new shops, housing and jobs – and is hoping to attract missing retail giants like Marks & Spencer. It aims to regenerate this gateway site, establish a quality town centre living offer, redevelop redundant land and attract key new retailers. Overall it would deliver around 150,000 sq. ft. of extra retail space, up to 800 homes, including apartments, and approximately 700 car parking spaces.” A later press released stated M&S had signed up and was definitely going to be the anchor tenant at Prince’s Gate. Prior to this chronic-oldham had obtained a copy of the councils secretive cabinet report which showed how M&S had been lured by having bespoke premises built, a £9 million contribution to shop fit-out cost paid by the developer (Oldham council) and 6 months tenancy rent free. The report also went on to identify that the planned housing margins were so poor that private developers would not invest in the project and Oldham council’s housing revenue account may have to be used but it would take over forty years to recoup the money invested at full occupancy. 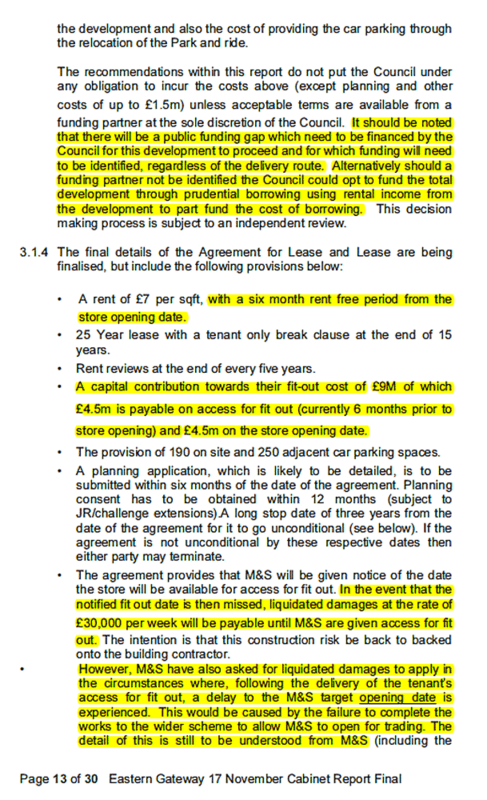 M&S pulled out of the scheme in November 2016 after Oldham Council had already started the development. Be under no doubt that if the GMSF had intended to use revenue from developing Oldham’s greenbelt to fund affordable housing developments at Prince’s Gate or remediate the Hartford Mill site in Werneth Oldham’s local MP’s would have not been so quick to criticise. The independent quarter, despite relentless promotion and building grants a plenty multiple businesses, many of which were completely unsuitable to the footfall economics of the area, have folded. In January 2017 the quarter will lose its most active hard-working advocate, Scoots Suits and Boots, which announced the store will close by the end of the month. Jim McMahon was a senior figure at the GMCA, the local government collective that designed the spacial framework, in 2015 when they announced plans to take a percentage of the huge increase in land value attributable to the award of planning consent on pastoral land when the usage is changed to housing land. GMCA documents also presented at the time confirmed plans to fund brownfield remediation using stamp duty on new Greenfield sites which they stated could secure significant revenue. If the brownfield development funding had been forthcoming no doubt the greenbelt would have been sacrificed without any political opposition just as Foxdenton was given up to subsidise Oldham’s vast and expanding non-contributory wards and supply yet more unskilled minimum wage employment. The only subject Jim won’t address that was identified in the GMSF was the ongoing and expanding impact of low skilled mass immigration in central Oldham.